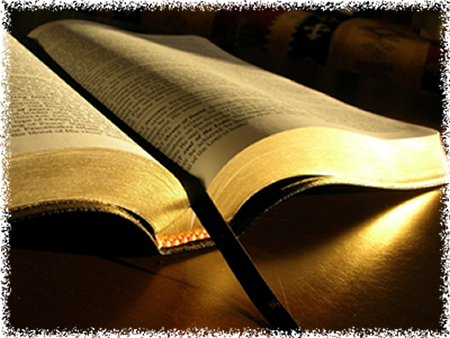 We believe the Bible to be the inspired, infallible, written Word of God. “All scripture is given by inspiration of God, and is profitable for doctrine, for reproof, for correction, for instruction in righteousness” (II Timothy 3:16). We believe the Bible is the only God-given authority which man possesses; therefore, all doctrine, faith, hope, and all instruction for the church must be based upon, and harmonize with, the Bible. It is to be read and studied by all men everywhere, and can only be clearly understood by those who are anointed by the Holy Spirit (I John 2:27). “No prophecy of the scripture is of any private interpretation. For the prophecy came not in old time by the will of man: but holy men of God spake as they were moved by the Holy Ghost” (II Peter 1:20, 21). We believe in the one ever-living, eternal God: infinite in power, holy in nature, attributes and purpose; and possessing absolute, indivisible deity. This one true God has revealed Himself as Father; through His son, in redemption, and as the Holy Spirit, by emanation (I Corinthians 8:6; Ephesians 4:6; II Corinthians 5:19; Joel 2:28). God used different titles, such as “God Elohim”, “God Almighty”, “El-Shaddai”, “Jehovah”, and especially “Jehovah Lord”, the redemptive name in the Old Testament. “Unto us a child is born, unto us a son is given: …and His name shall be called Wonderful, Counselor, The mighty God, The everlasting Father, The Prince of Peace” (Isaiah 9:6). This prophecy of Isaiah was fulfilled when the Son of God was named. “And she shall bring forth a son, and thou shalt call His name JESUS: for He shall save His people from their sins” (Matthew 1:21). “Neither is there salvation in any other: for there is none other name under heaven given among men, whereby we must be saved” (Acts 4:12). Godly living should characterize the life of every child of the Lord, and we should live according to the pattern and example given in the Word of God. “For the grace of God that bringeth salvation hath appeared to all men, teaching us that, denying ungodliness and worldly lusts, we should live soberly, righteously, and godly, in this present world” (Titus 2:11-12) “But as he which hath called you is holy, so be ye holy in all manner of conversation; because it is written, Be ye holy; for I am holy. (I Peter 1:15-16). We wholeheartedly disapprove of our people indulging in any activities which are not conducive to good Christianity and godly living. The scriptural mode of baptism is immersion, and is only for those who have fully repented, having turned from their sins and a love of the world. It should be administered by a duly authorized minister of the gospel, in obedience to the Word of God, and in the name of our Lord Jesus Christ, according to the Acts of the Apostles 2:38, 8:16, 10:48, 19:5, thus obeying and fulfilling Matthew 28:19. On the night of our Lord’s betrayal, He ate the Passover supper with His apostles, after which He instituted the sacrament. “And he took bread, and gave thanks, and brake it, and gave unto them, saying, This is my body which is given for you; this do in remembrance of me. Likewise also the cup after supper, saying, This cup is the new testament in my blood, which is shed for you” (Luke 22:19-20). Paul instructed the church how to observe it (I Corinthians 11:23-24). Thus was instituted the use of literal bread and the fruit of the vine, which are partaken of literally, as emblems of His broken body and shed blood. There is also a spiritual significance and blessing in partaking of the sacrament. Jesus said, “If I then, your Lord and Master, have washed your feet, ye also ought to wash one another’s feet. For I have given you an example, that ye should do as I have done to you” (John 13:14-15).